Database Systems Corp. (DSC) is a leading provider of contact center solutions including phone systems and call center software. 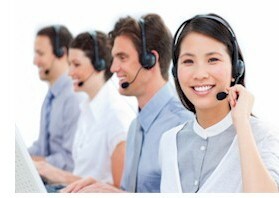 DSC also offers Contact Center Outsourcing using our multiple location centers. These call centers can answer inbound phone calls using our award winning interactive voice response (IVR) software that answers calls without an operator. Calls can be processed completely using this service or we can route these calls to your operators or service representatives. Our call center service center provides voice message broadcasting that allows you to automatically blast a recorded phone message to customers, employees or the general community in the event of an emergency situation. Contact DSC to learn more about our automated answering services and phone systems. DSC offers both an affordable and expandable contact center phone system. This modern call center phone system includes a Windows PC with computer telephony boards from Intel / Dialogic. When combined with our comprehensive Contact Center Software, these phone systems can perform both inbound call distribution as well as outbound message broadcasting campaigns. Besides offering contact center technology products, DSC offers both inbound and outbound contact center outsourcing services that automatically answer calls and broadcast phone messages. Our inbound call center processes phone calls using our award winning interactive voice response (IVR) system that processes incoming calls without an operator. Our outbound contact center services include voice broadcasting that allows you to automatically transmit voice messages to customers, employees or the general public. Contact DSC for a FREE analysis and quote and to learn more about our call center products and services.